90% of all women agree that a man that can do this instantly makes him more attractive; what is it? 90% of all women agree that a man that can play guitar and sing them a song instantly makes him more attractive! 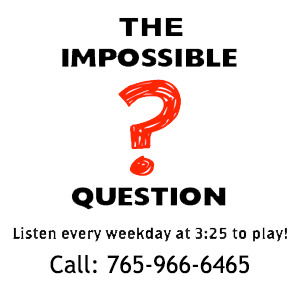 Congratulations to Amanda Hembree of Richmond for being the first to correctly answer the Impossible Question!